Opening times Mon & Sun 10am–6pm;Tue–Sat 10am–8pm. Food served Noon–3pm; 5pm–45 minutes before curtain up on theatre performance days; closed on days without theatre performance. Box office times Mon–Sat 9.30am–8pm; Sun 10am–8pm. 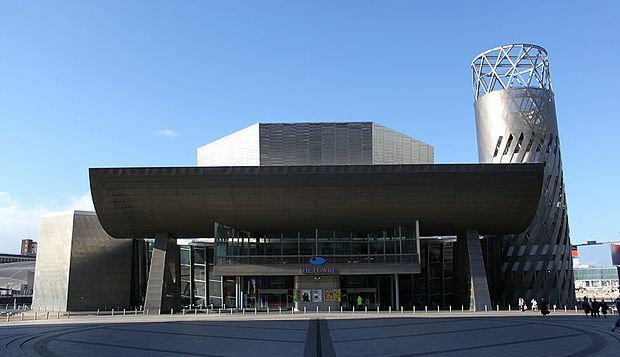 The Lowry is Salford's biggest art and theatre venue, opened in 2000. The building houses three theatre spaces: the 1,730-seat Lyric Theatre, the 466-seat Quays and the smaller Studio, as well as art galleries that contain a major collection of the work of the much-loved Lancashire painter LS Lowry, after whom the entire complex is named. Other galleries feature major touring exhibitions. The Lowry receives major touring theatre productions as well as stand-up comedy, opera, dance, cabaret and children's shows. At the Restaurant, head chef Oliver Thomas has been praised for an unfussy approach highlighting the best local ingredients. The centre is easily accessible by public transport, being ten minutes' drive from Manchester city centre and served by tram and bus links. Parking is available at the Lowry Outlet Mall car park, directly adjacent to the centre.